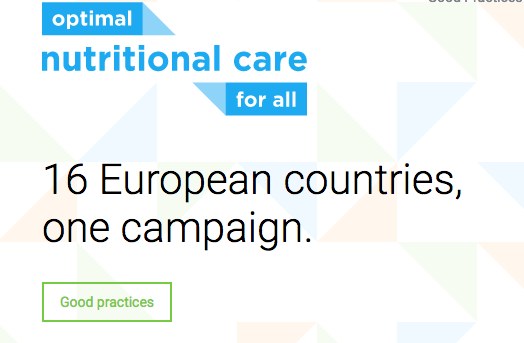 The report from the ¨Optimal nutritional care for all¨conference is now available for download. The conference was organised by the European Nutrition for Health Alliance’s (ENHA) Optimal nutritional care for all (ONCA) campaign, the Patients Network for Medical Research and Health (EGAN) together with the European Patients Forum (EPF) and the Platform Patients and Food Netherlands , organized a conference for EU patients’ groups to discuss the topic of nutrition. The main aim of the conference was to explore the level of interest among these groups for the issue of nutrition in relation to prevention, treatment and management of disease, and to gather and test the level of support to work on a renewed patient agenda on nutrition for the period 2018 – 2021. The first patient agenda on nutrition was made in 2012 and published in 2013 in the book ‘Patient Perspectives on Nutrition’, presented at the Annual Meeting of EPF in Dublin.